His famously analytical mind worked out the laws of gravity and unravelled the motion of the planets. 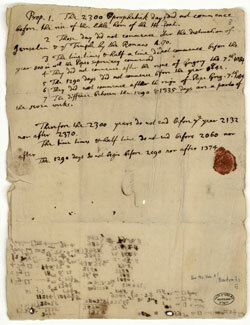 And when it came to predicting the end of the world, Sir Isaac Newton was just as precise. He believed the Apocalypse would come in 2060 – exactly 1,260 years after the foundation of the Holy Roman Empire, according to a recently published letter. Luckily for modern scientists in awe of his achievements, Newton based this figure on religion rather than reasoning. In a letter from 1704 which has gone on show in Jerusalem's Hebrew University, Newton uses the Bible's Book of Daniel to calculate the date for the Apocalypse. The note reveals a deeply spiritual side to a man more usually regarded as a strict rationalist. Newton, known as the founder of modern physics, secured a royal exemption from ordination in the Church of England – something normally expected of academics in his day – so he would not have to follow its teachings. But he confidently stated in the letter that the Bible proved the world would end in 2060, adding: "It may end later, but I see no reason for its ending sooner." 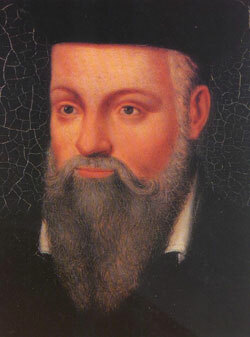 Continuing in a decidedly sniffy tone, he wrote: "This I mention not to assert when the time of the end shall be, but to put a stop to the rash conjectures of fanciful men who are frequently predicting the time of the end, and by doing so bring the sacred prophesies into discredit as often as their predictions fail." The exact words from the Book of Daniel that inspired his prediction are not clear. But he got at least one thing right – in another document, he interpreted biblical prophecies to mean that the Jews would return to the Holy Land before the world ended. Newton, who died 280 years ago, wrote that the end of days would see "the ruin of the wicked nations, the end of weeping and of all troubles, the return of the Jews (from) captivity and their setting up a flourishing and everlasting Kingdom". Yemima Ben-Menahem, one of the curators of the exhibition, said: "These documents show a scientist guided by religious fervour, by a desire to see God's actions in the world." The papers – including more prosaic notes about his income and the price of tin – lay in a trunk at the house of the Earl of Portsmouth for 250 years before being auctioned in the late 1930s. Since 1969, many have been locked away in Israel's national library. 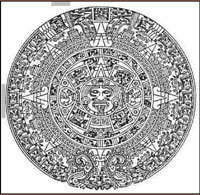 The Mayan calendar comes to an end on Sunday, December 23, 2012. Only a few people will survive the catastrophe that ensues. In the fifth age, humanity will realize its spiritual destiny. In the sixth age, we will realize God within ourselves, and in the seventh age we will become so spiritual that we will be telepathic.